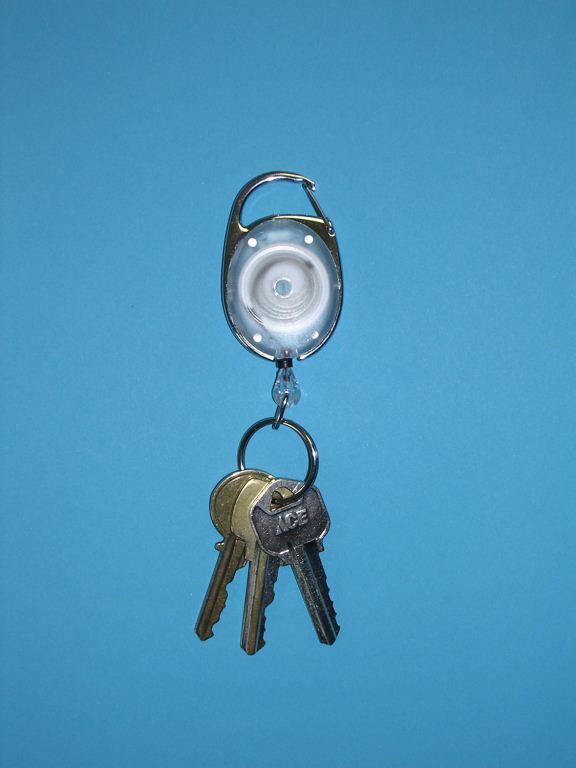 Clips securely around belt loops, bags or purse straps, attached split ring holds keys. Chrome plated carabiner with transparent cover. Cord pulls out up to 30 inches, retracts as needed.